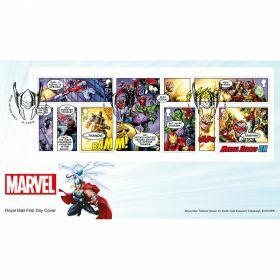 A Miniature Sheet like no other – this set of five additional Marvel stamps form part of a ten-panel comic book strip in which the Mad Titan,Thanos, launches a deadly attack on the world. 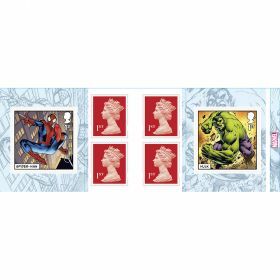 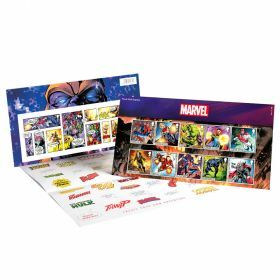 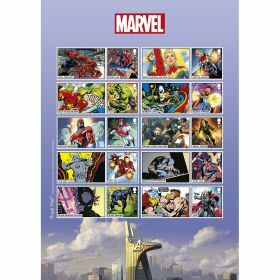 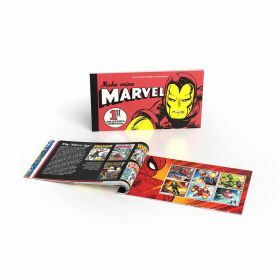 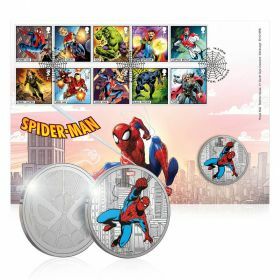 This original, never-seen-before story has been specially commissioned by Royal Mail in collaboration with Marvel, making this a highly collectible set of stamps, and a must-have for any comic book fan. 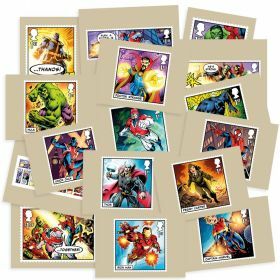 This set of five additional Marvel stamps form part of a ten-panel comic book strip in which the Mad Titan,Thanos, launches a deadly attack on the world.